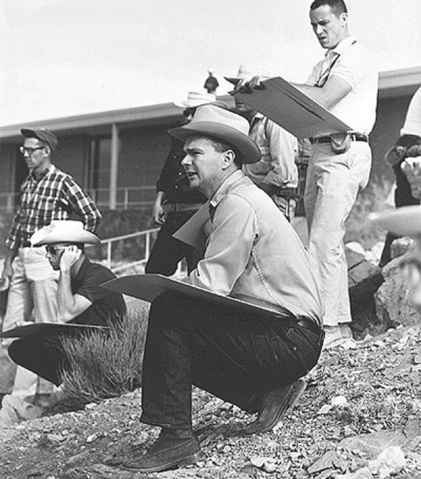 A US Geological Survey photo showing Eugene Shoemaker with the first group of scientist-astronauts during a training trip to Meteor Crater (http://astrogeology.usgs.gov). their own research, as well as participating in the scientific objectives of the Apollo programme, "has been under careful study by a NASA committee. "8 The letter also stated that, following the recommendation for a broad programme of scientific research and the direct participation of scientists in surface explorations, NASA was working towards obtaining the maximum scientific return possible from the Apollo missions. Dr. Eugene M. Shoemaker was brought into NASA in order to coordinate the planning of scientific research, including that of the manned lunar programme. 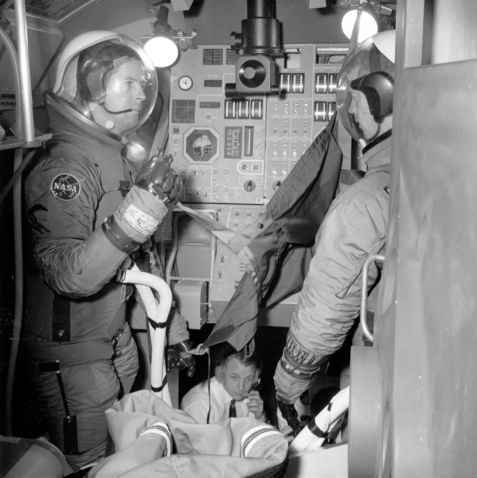 Shoemaker, a geologist from the US Geological Survey, was also helping pilot-astronauts at MSC to prepare for Apollo missions to the Moon by training them in geology. More than anyone else, Shoemaker left an indelible mark on planetary science before his tragic death in an automobile accident in the Australian outback in 1997. As his friend Jack Sevier put it, Shoemaker "was in it at the beginning when it was the domain of astronomers with their techniques of photogeology, geologic mapping, cratering analyses, and all the rest of the things that he helped to invent. "9 In 1961, Shoemaker created (and became the first Chief Scientist of) the USGS Astrogeology Research Program, which produced detailed maps of the ancient lunar surface. He secretly harboured a dream of becoming an astronaut himself one day and flying to the Moon to investigate the lunar terrain firsthand.